Sometimes days don’t turn out quite the way you planned. And those unexpected things that crop up…well, in Europe, they can take an interesting turn. A few days ago we hopped in the car to head off to a wine festival just 50 minutes away. We went early with kids in tow, expecting to catch a little wine and food and a few rides for the kids, but not the raucous, full-on wine lover’s equivalent of Oktoberfest. “Fest-light” was our goal. The fest was a bit of a wash for us. 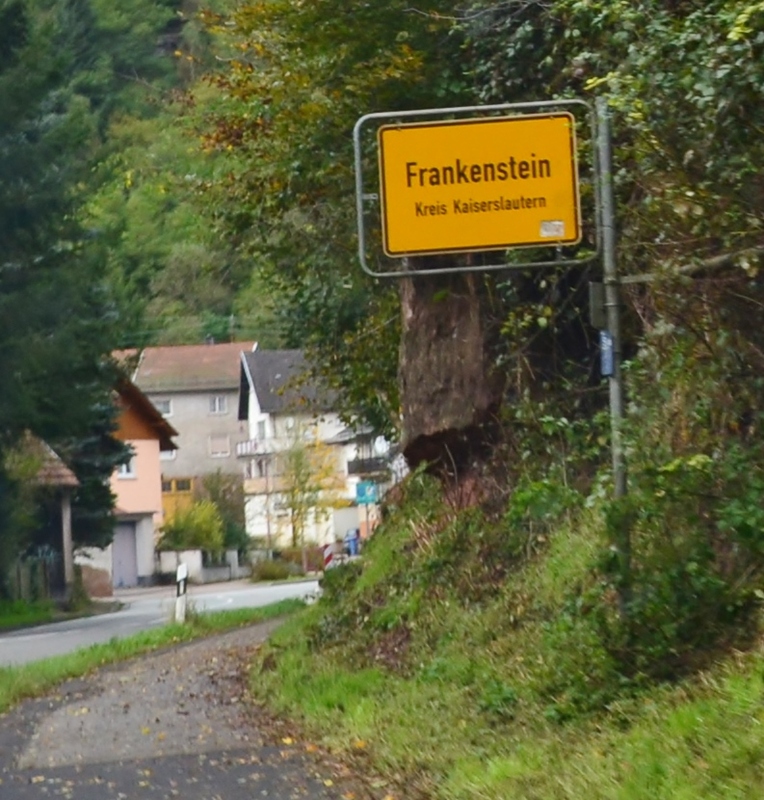 But that didn’t matter to me because on our way over the river and through the woods to the Fest that wasn’t, we drove through Frankenstein village. Are you listening? 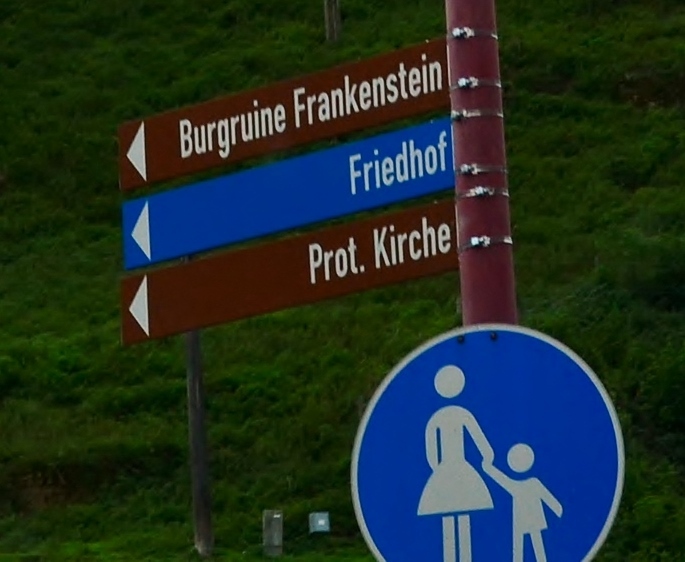 We drove through Frankenstein Village! Who knew? If that isn’t a great October morning eye opener, then there’s no such thing! You can keep your tootsie rolls, candy corn, and bit-o-honey–I’ve had my Halloween treat!!!! *It dates from the 12th century, and was under the administration of the von Frankensteins. *It lies on a strategic outcropping, began as a fortified tower, and was added to and then damaged in many skirmishes from the 1200’s through the 1500’s. 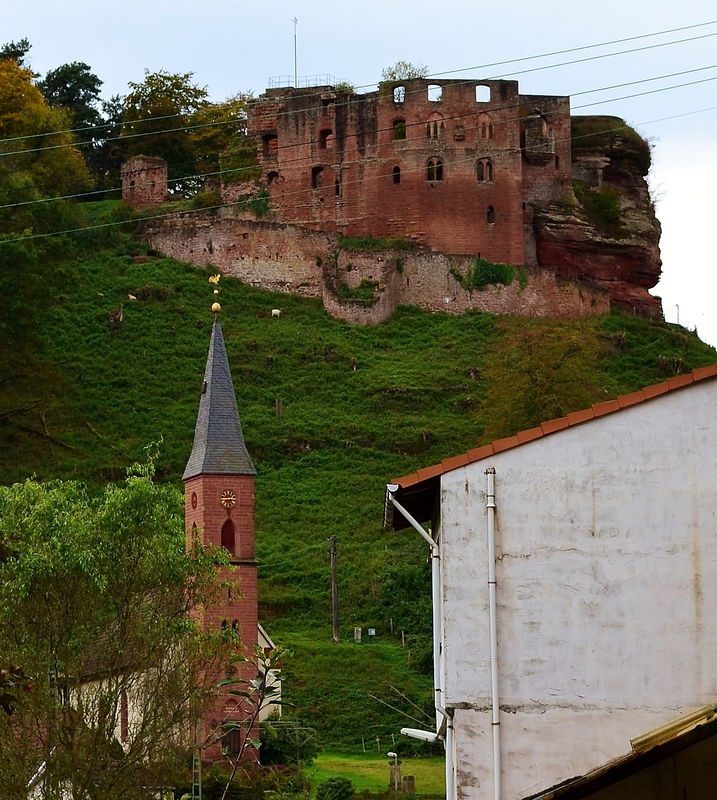 *The castle is presently more of a ruin than a castle, but it’s now owned by the Rhineland-Palatinate state and some foundational restoration has been done. **HERE’S THE THING: A lot of confusion arises because there is another, more intact, castle near Darmstadt (in Muhltal) that bills itself as Frankenstein Castle. It seems likely that it was an inspiration for Mary Shelley’s story. A man named Dippel was born in that castle, and stories surrounded Dippel and his claims to have created an oil that was an “elixir of life.” An earlier owner of this house was the founder of the Barony of Frankenstein, but now this castle hosts Halloween parties and capitalizes on the Frankenstein tale. 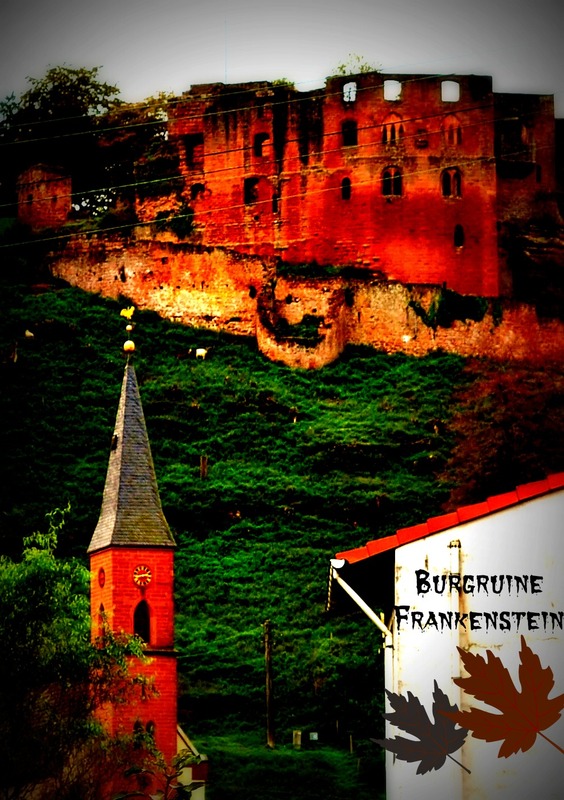 Both castles, however, trace back to the Frankenstein name. Ultimately, the name Frankenstein was chosen by Shelley for her fictional tale. If it took these German rumors or atmosphere as its starting point, that’s great, but Shelley was the doctor who breathed life into the story. Maybe the inspiration struck her on the way home from a wine fest. Maybe. One more photo for you. This has got to be one of my favorite sign-clusterings. Ever. Because what pedestrian wouldn’t want to walk past the church, the cemetery, and Frankenstein’s Castle ruins as dark falls? What an interesting and fantastic surprise find – I’d love to see this someday. How awesomely creepy! Great surprise–it made my day!